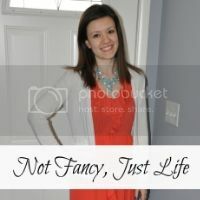 Honestly, I feel like this outfit is only so-so, but in keeping real and staying true to by blog's name, I'm posting it anyway. I actually saw someone at the grocery store wearing a coral top, white cardigan, and black pants, and I decided to pull out some of my neglected pieces to recreate it. 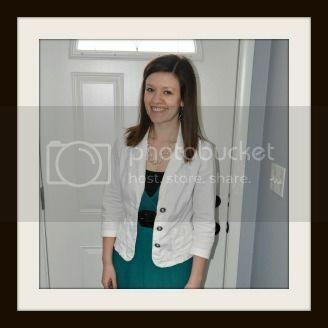 I have a few pairs of dress capris and they are nice for summer at work, but I hate how they photograph! It looks like I'm wearing a really awkward skirt or something. Beautiful color -- you just can't go wrong with coral actuall! Simple outfit but it looks comfortable and well put together. Great score on the necklace though. Gotta love thrifting. Please link it up on our Thrift Sisters link up and show others this great find. You are the thrifting bee! I too post a lot of so-so and many not blog-worthy outfits because I keep it real. I did a remix post last week with 7 outfits where one of the items I remixed was a coral tee. Did you see it?